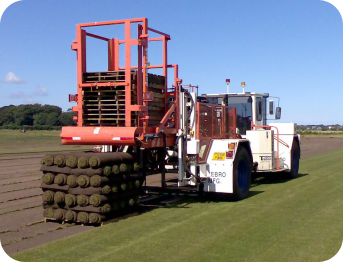 Topsoil Sho supplies quality turf in 1m2 rolls delivered throughout the UK, our turf is grown on the finest sandy soils of North West England, the perfect start in life for your lawn turf. 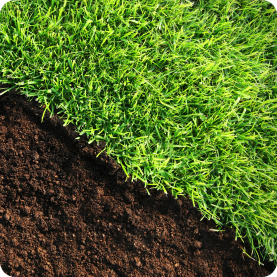 Topsoil Shop turf is grown by the finest TGA turf growers and is cut freshly to order each day before being checked for quality and distributed on express next day delivery service to ensure that you receive the turf in the best possible condition. Buy turf online in any quanity from a single roll to a full artic load, we supply a range of different turf types to suit your needs, from our hardwearing family lawn turf to our decorative ornamental turfs we are sure you'll find what you need. All our turf is cut in 1m2 rolls and delivered on a pallet, our turf ends up in gardens and on golf courses all over the country, and it comes with our weed free guarentee. Visit our Turf Growers website for more Turf information.